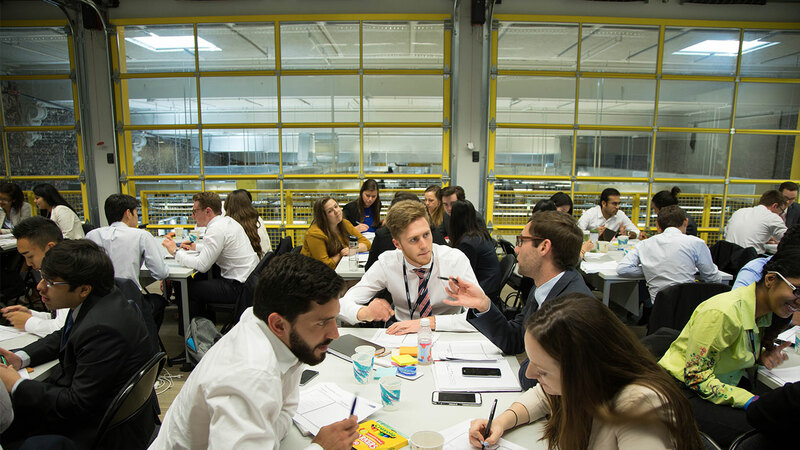 The Summer Business Scholars Program (SBSP) brings together a diverse group of students from around the world for an immersive, three-week learning experience grounded in Chicago Booth’s rigorous and interdisciplinary approach. Summer Business Scholars gain a firm understanding of business frameworks from Booth’s renowned faculty through an experiential curriculum at our Hyde Park and downtown Chicago campuses. The coursework will build scholars' business acumen and enhance their appeal to employers by strengthening their critical thinking, verbal and written communication, problem-solving, leadership and teamwork skills. Scholars also build relationships with alumni and top-tier corporations through lectures and company visits. Bonded by a shared sense of curiosity in pursuit of deeper understanding, our scholars come from a variety of undergraduate majors—from business administration and engineering to art history and sociology. Additionally, SBSP alumni represent more than 250 colleges and educational institutions from the United States and abroad, creating a truly global network of graduates. A sizable percentage of Summer Business Scholars receive merit-based financial aid. Learn more about program fees and admissions, or click below to recommend someone you know for the Summer Business Scholars Program.